Those were the words of incoming Senate President Bill Galvano reacting to the death of Sen. Dorothy Hukill, who passed away Tuesday after a recurrence of the cervical cancer that kept her away from Capitol for an entire Session last year. The Port Orange Republican was renowned for large signs declaring that Sen. Dorothy L. Hukill “welcomes (fill in the blank) to the Florida Senate” that perpetually graced the upper chamber’s halls. “The plethora of signs became such a running joke among the senators that one year Senator Hukill left many of us personalized signs welcoming us to our spaces in the Senate parking garage and to our desks in the Senate chamber. I have no doubt that as we grieve her loss today, the gates of heaven are adorned with a huge sign welcoming Dorothy to her eternal home,” Galvano, a Bradenton Republican, said in a statement. 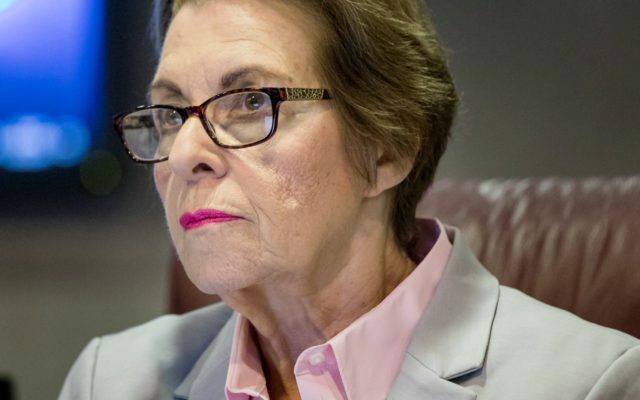 Hukill, 72, was a teacher before becoming an attorney and later went from being mayor of Port Orange to one of the Senate’s point people on tax breaks and education. 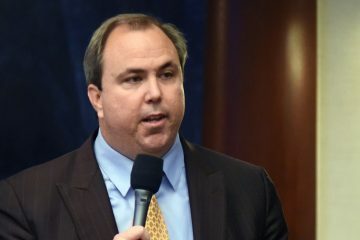 During a lengthy interview with The News Service of Florida last year, Hukill dispensed guidance aimed at incoming lawmakers that could — and should — be applied universally, especially in a moment when political adversaries are painting each other as Pinocchios. Tell the truth, the one-time teacher instructed. “It’s also important to remember, don’t promise to do something you don’t know that you can do or support, because your word is your bond. I really believe that your word is your bond. If I say I’m going to support something I’m going to support something, unless something falls out of the clear blue sky,” Hukill advised. Honesty was also at the top of her recommendations for people undergoing serious medical treatment, such as the cancer therapy that kept Hukill away from the Capitol in 2017. “I think one of the most important things is to have a network, whether it’s family or friends, and to be honest with them about what you’re going through, and be honest with them about what you need. If you need some help, because people offer help. I’ve been offered so much help, but they don’t know what kind of help you need,” she said. Florida Attorney General Pam Bondi has launched a statewide probe into sexual abuse by Catholic priests, following a Pennsylvania grand jury report this summer that found more than 1,000 children were molested over decades by hundreds of priests whose wrongdoing was covered up by church leaders. “Any priest that would exploit a position of power and trust to abuse a child is a disgrace to the church and a threat to society,” she said during a Tampa press conference. Victims or people with information about past abuse can contact Bondi’s office through a special hotline or submit information on the internet. “Please share your story with us. Even if you’ve previously reported it to the church, to anyone, report it to us now,” Bondi urged. The Florida Department of Law Enforcement is assisting Statewide Prosecutor Nick Cox with the probe, and Bondi’s assigned five lawyers to the case. Bondi said she ordered the Florida statewide inquiry after the August release of the Pennsylvania grand jury’s chilling report of decades of child sexual abuse by priests whose crimes were protected by church leaders. Several bishops issued statements expressing support for Bondi’s inquiry. “This has been a very painful period for all Catholics. I hope the outcome of this investigation and other acts of transparency by the dioceses in Florida will bring about greater trust in the Church. Our goals are similar — to ensure the safety of all children and vulnerable adults and to prevent perpetrators of abuse from serving in active ministry,” Bishop Felipe Estévez, who heads the Diocese of St. Augustine, said. You’re a liar! No, you’re a liar! In a matchup mirroring the deep partisan divide engulfing the nation, U.S. Sen. Bill Nelson and Gov. Rick Scott bickered about red tide, guns, immigration and a controversial Supreme Court nomination in their first debate before next month’s election. Nelson, a Democrat, and Scott, a Republican winding up his last year as governor, reached almost no consensus during the hour-long Telemundo debate Tuesday. Instead, Nelson accused his opponent of lying, and Scott painted the incumbent as a partisan do-nothing who’s accomplished little in his nearly 20 years in the Senate. 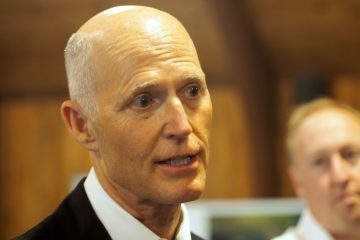 Proposals backed by Nelson and Democratic gubernatorial nominee Andrew Gillum will “kill the economy,” Scott said. “They like high taxes,” he said. “The governor keeps coming out with one whopper after another. Apparently, you never got your mouth washed out with soap after telling a lie because you keep on going on, on every part of my record,” Nelson shot back, according to a transcript released by Telemundo. The two also tangled about Brett Kavanaugh, President Donald Trump’s Supreme Court nominee who vehemently denies allegations by Christine Blasey Ford and at least two other women who have accused him of sexual misconduct while in high school or college. Nelson said he intends to vote against Kavanaugh, adding that he tried repeatedly in vain to meet with the appellate judge. Nelson praised Ford’s “compelling” testimony when she and Kavanaugh appeared separately before the Senate Judiciary Committee last week. But Scott rebuked Nelson for having decided to vote against Kavanaugh even before the hearing, accusing Nelson of saying he would reject whoever was nominated. Attorney General Bondi announced she has launched a statewide probe into sexual abuse by Catholic priests. “As far as how widespread this is, frankly we have no idea right now. We love the Catholic religion, the Catholic church. We love youth organizations and we love schools. But abuse is abuse.” — Attorney General Bondi, after announcing the investigation Thursday.